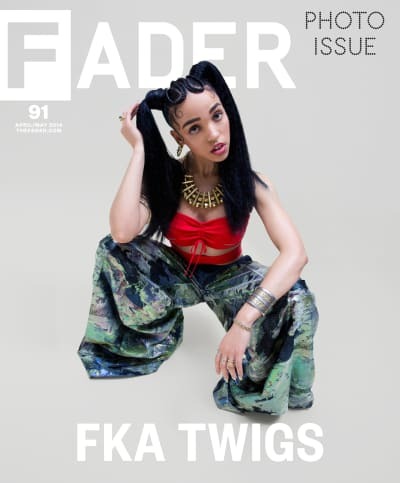 Emilie Friedlander’s FADER 91 cover story on FKA Twigs follows the shape-shifting pop singer through London. 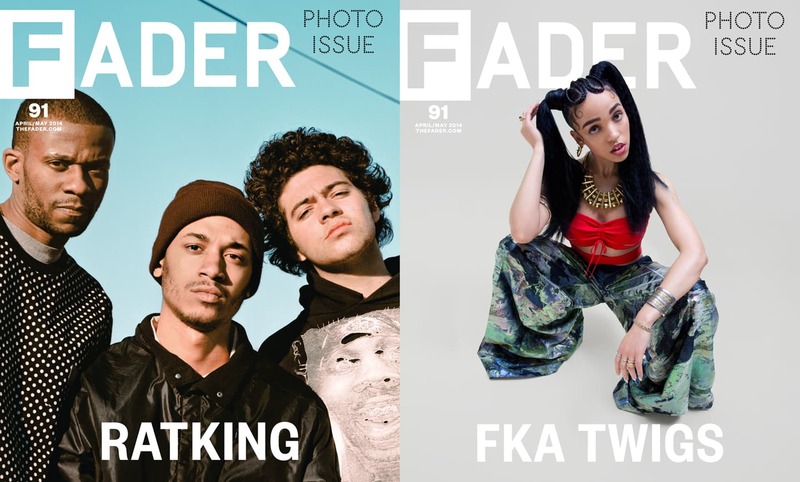 For Ratking’s The FADER cover story, we went up and down New York with the city’s noisy hip-hop heirs. Read Aimee Cliff’s Gen F profile of Melbourne dubby duo HTRK. 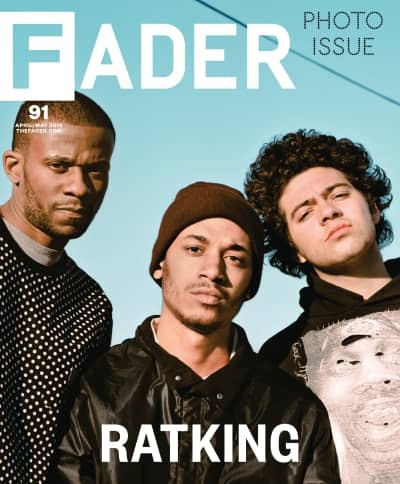 Ratking and Dutch E. Germ came out to Manhattan basement-club Gilded Lily to celebrate The FADER #91. 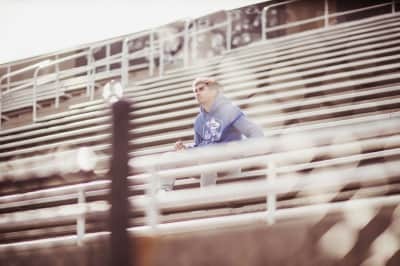 Meet the San Marcos rapper who wants to subvert stereotypes with his music. 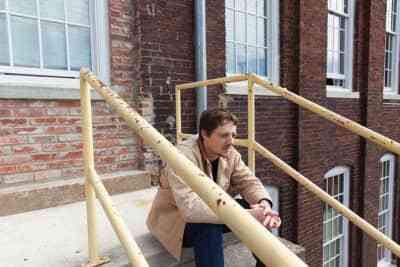 Country music goes back to the future with Sturgill Simpson. 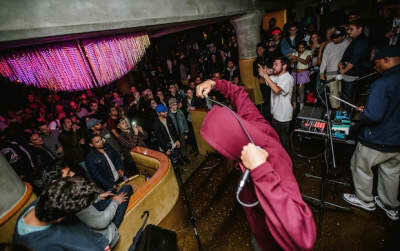 John Barclay’s Bushwick nightspot brings underground raves above board. Felipe Delerme interview Fake Shore Drive founder Andrew Barber on the evolution of Chicago rap since Chief Keef happened. How artists have stepped up their merch game in 2014. 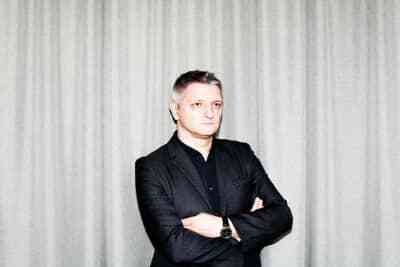 Creative director Dirk Schönberger and a slew of collaborators take Adidas to the top. 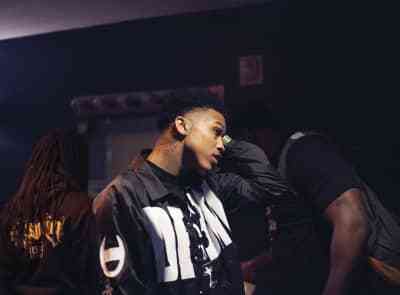 Talking growing pains with the New Orleans R&B artist. 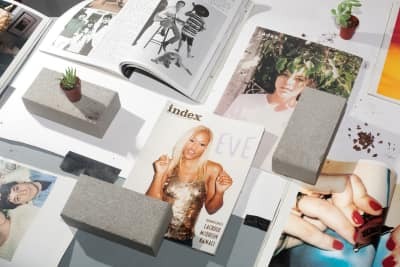 Alex Frank remembers index magazine, which is being remembered in a new book by Rizzoli, index a to z. 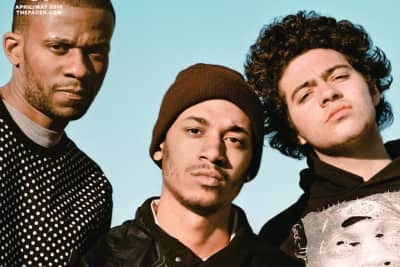 Watch the making of Ratking’s cover shoot, with the group, photographer Harry Gould Harvey IV and style editor-at-large Mobolaji Dawodu.